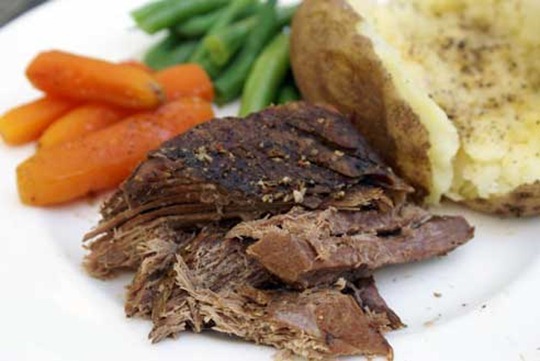 Most of the people think that making white roast is quite difficult and lengthy job but if you follow this recipe then you will have a tasty roast in no time. You must marinate your meat for 5 to 6 hours before baking it. Prick the beef pieces with a fork. Marinate beef pieces with vinegar, lemon juice, salt, white pepper, oil and Worchester sauce for 5 to 6 hours. Cover it with foil paper and bake it in preheated oven till all water dries up and beef is tender. Serve it with boiled vegetables and any dip of your choice.